General sessions at Clip ’n Climb Chelsea run between 11am and 5pm Monday to Friday (the last session finishing at 6:30pm). Weekday and Saturday evenings we run adult-only climbing sessions (weekdays these run from 6pm, on Saturdays these run from 7pm). On weekends, Bank Holidays and school holidays, general climbing sessions start at 9am. We strongly recommend booking your climbing session in advance, especially during our busiest times at weekends and during school holidays. Booking standard session tickets is quickest via our online booking system where you can see at a glance, for any given day, exactly when we are open and which sessions still have spaces left. You can also purchase special attractions tickets during the online booking process. To book children’s parties or for group booking enquiries please call our Reception team on 020 7736 2271 or email [email protected] with your requirements and a contact number so that we can call you back to take payment and confirm your booking. For corporate events and other venue hire, please contact our Events Manager, Jo Whittaker, at [email protected] with your requirements and we can tailor a package that’s right for you. Due to the size of our arena, and for the safety of our climbers, we cannot allow entry to those that are not climbing on our busy sessions. 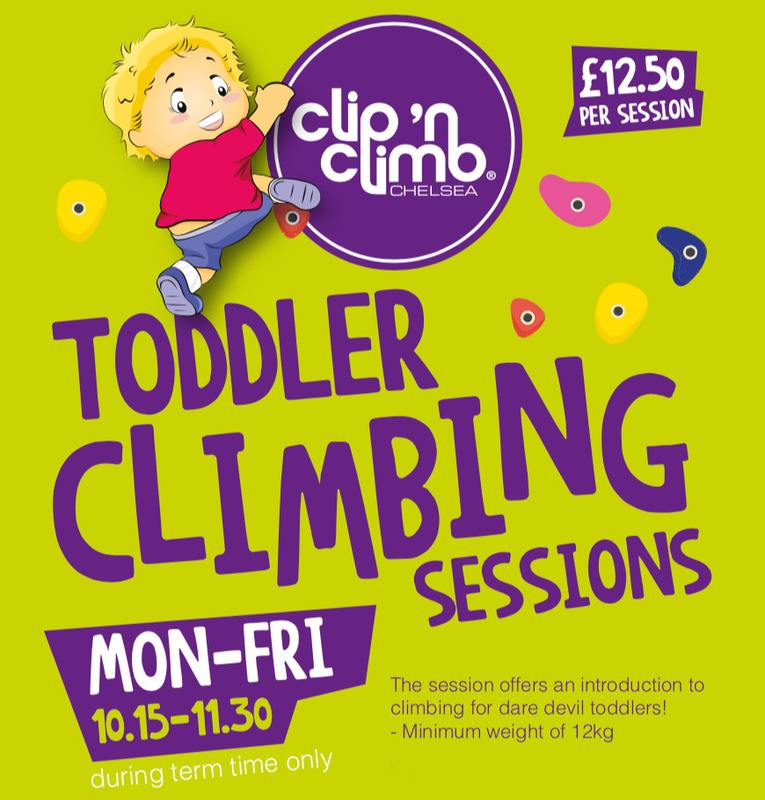 We advise that, if you wish to be with your child throughout the session, you book yourself to climb too. Plus, we don’t think the kids should have all the fun! The standard session price includes use of our 21 wall challenges. Tickets for our three special attractions will need to be purchased separately – one ticket per attraction per person; these can be purchased during the online booking process or from Reception before your session begins. Two of our special attractions (the ‘Leap of Faith’ and ‘Stairway to Heaven’) have a minimum height requirement of 130cm. The ‘Vertical Drop Slide’ has no height restriction. Please remember that tickets purchased for these attractions are non-refundable and ensure they are used no later than 40 minutes after your session has started, to avoid disappointment. Unfortunately we are unable to replace lost tickets. Our terms and conditions for standard session tickets allow customers to reschedule or cancel their booking providing this is done up to 48 hours before their session start time. Please call our Reception team on 020 7736 2271 in the event you need to amend or cancel your booking. Separate terms apply to children’s parties, school bookings, other private hire and corporate events. Anyone aged 4 and upwards is welcome to climb in our arena. For under 4s we run Toddler Sessions during the week in term time- please check our online booking system for available dates. Clip ‘n Climb Chelsea is for adults as well as children. No, Clip ‘N Climb Chelsea is as much for adults as it is for children! Adults can climb in any session that has free spaces. Kids love climbing with their parents and can often get more out of the session if they are accompanied. Yes! We have opened up some adult-only evening sessions – please check our online booking system for available dates and times – and Clip ‘n Climb is available to hire for groups of adults including corporate events. We provide you with all the standard equipment you'll need for your climbing session. If you have purchased tickets for any of our special attractions, we also provide the necessary equipment for these - helmets, extra harnesses and/or clothing as required. Climbers should wear loose and comfortable clothing (we advise against skirts and dresses). Closed-toe footwear - secure shoes such as trainers - must be worn. We recommend that minimal jewellery is worn when climbing, and long hair is tied back. Loose items and/or coins MUST be removed from pockets before climbing. We advise bringing a long-sleeved top if you wish to try our ‘Leap of Faith’ attraction. We have personal lockers available for customers to securely store belongings during their session (you will need a £1 coin per locker). Clip ‘n Climb Chelsea is equidistant from Fulham Broadway tube station and Imperial Wharf overground station. The 11 and 22 bus routes stop closest to the centre. If you are arriving by car, we do not have parking facilities at the centre. Pay and display parking may be available outside Clip ’n Climb Chelsea, on Michael Road, so please don’t forget your coins for the machine. Alternatively, Fulham Broadway or Imperial Wharf are our closest underground stations, located just 10-15 minutes walk. Please arrive with enough time to check in at Reception before your session start time (which will be on the hour, e.g. 2pm). At 10 minutes past the hour, all climbers for that session will be collected for the safety briefing. Unfortunately, due to tight scheduling restrictions, a late arrival will reduce the time you can spend enjoying the Clip 'n Climb experience. We have personal lockers available for you to securely store your belongings during your session (you will need a £1 coin per locker). Please ensure not to leave any valuables in plain sight in your car when using local ‘Pay and Display’ parking. Yes, all climbers must attend the safety briefing part of the session before they can begin climbing in the arena. This still applies even if you’ve been hundreds of times! Yes, we have a viewing balcony overlooking the climbing arena and The Gallery Café where non-climbers can wait. Please note that prams and buggies are not permitted upstairs. We do have highchairs available in The Gallery Cafe for our younger guests. Yes! The Gallery Café is open Monday to Sunday between 10:30am and 6:30pm, serving hot and cold drinks (ranging from delicious coffees and teas to raw juices, milkshakes and other soft drinks) and a selection of paninis, cakes, brownies and other goodies. Unfortunately customers/guests are not permitted to consume food or drink onsite unless it has been purchased from The Gallery Café. The exception to this is where the party room has been reserved for a children’s birthday party, or outside catering has been agreed as part of a private party / corporate event booking.